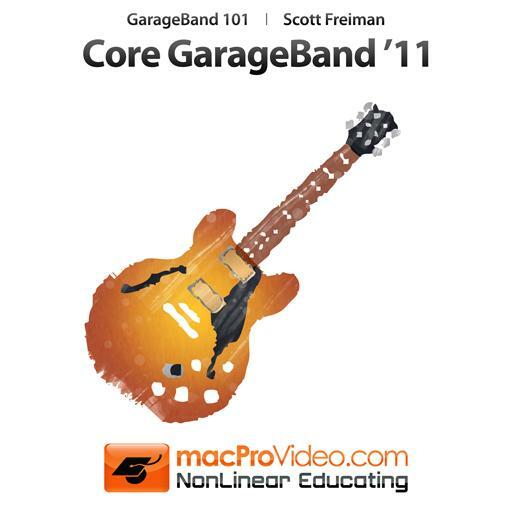 Garageband '11 101 - Core Garageband '11. How do you "merge" takes when cycle recording in Garage Band? What color region would signify an Apple Loop? What are the green regions? They are the regions that contain MIDI information. What can you do to move the automation with a region? What is the keyboard shortcut to get to "Preferences" in GarageBand? It's what causes distortion on a podcast. What is the keyboard shortcut to redo the last command? How many tracks can GarageBand record on at a time? The Master Volume is capable of AUTOMATION. What is AUTOMATION? Music is automatically written and mixed for you. What's the shortcut to show/hide the Arrangement track? How did the piano in the MIDI editor get its name? What Happens when "cycle" is turned On when exporting your song? What color would the region be if you were to record your own guitar into Garageband? What is an echo effect? Clicking the Plus sign on the arrangement Track does what? What's the keyboard shortcut to turn on Cycle Mode? When can you use the "Auto Quantize" feature? What happens if you enable the Star on a track? How do you add a Marker? Can you Copy and Paste outside of a region in the Piano Roll editor? What keyboard shortcuts can be used to return to the beginning of the song?